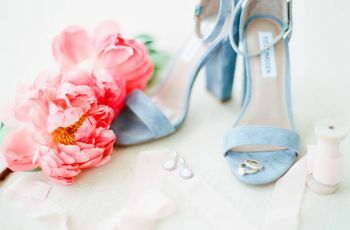 Pastel wedding colors are a tried-and-true favorite. Here's how to pull off this romantic palette in a chic, modern way. Pastel colors are inherently romantic and elegant, which is why they remain a popular choice for wedding decor. 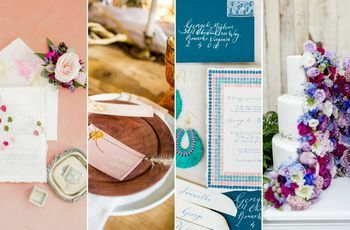 Our inspiration boards have seen their fair share of pastel wedding ideas over the years, but we're still in love as ever with these soft colors. 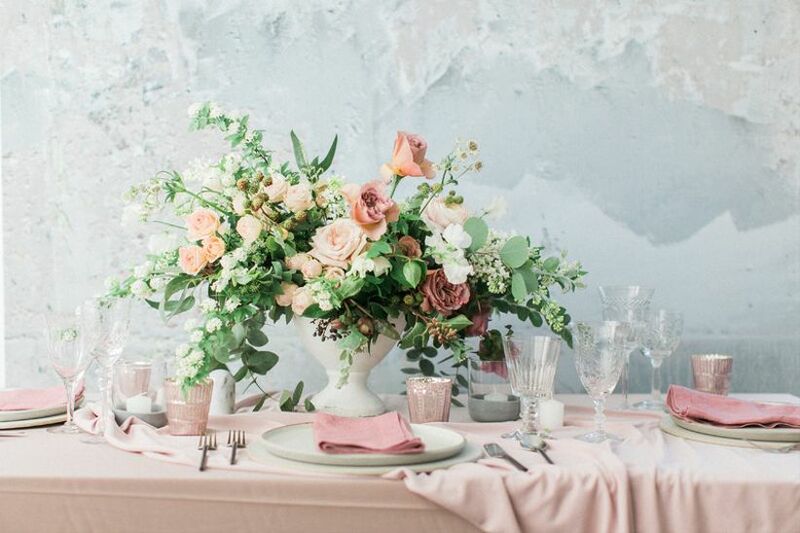 One reason pastel wedding colors have stayed around for the long haul? They're easily adaptable as trends change. 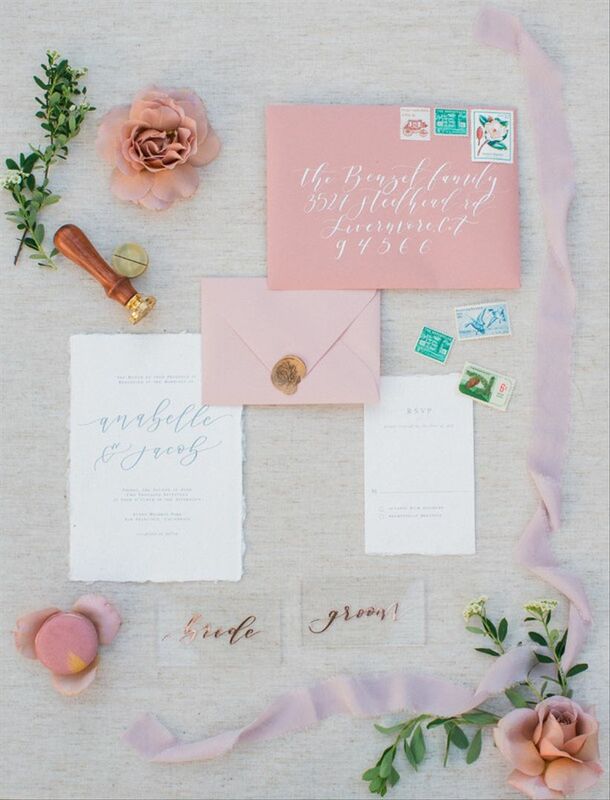 To achieve a modern and sophisticated pastel wedding color palette, avoid anything too matchy-matchy (it's okay if not every shade of blush is exactly the same!) and don't use too many colors at once. Choose two or three main pastels, then pair them with neutrals to create a palette that is cohesive, contemporary, and subtle. See our favorite details for a modern pastel wedding below. 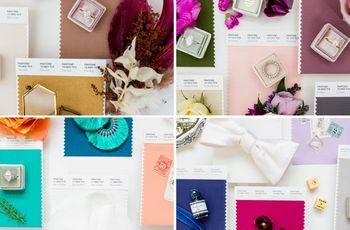 The colors of your wedding stationery don't have to be an exact match. This suite incorporates different pink hues, along with pale blue, rose gold and crisp white for a look that's coordinated but not overdone. Acrylic place cards give it a modern edge. Writing a wedding day love letter is one of the sweetest gestures you can do for your spouse-to-be. 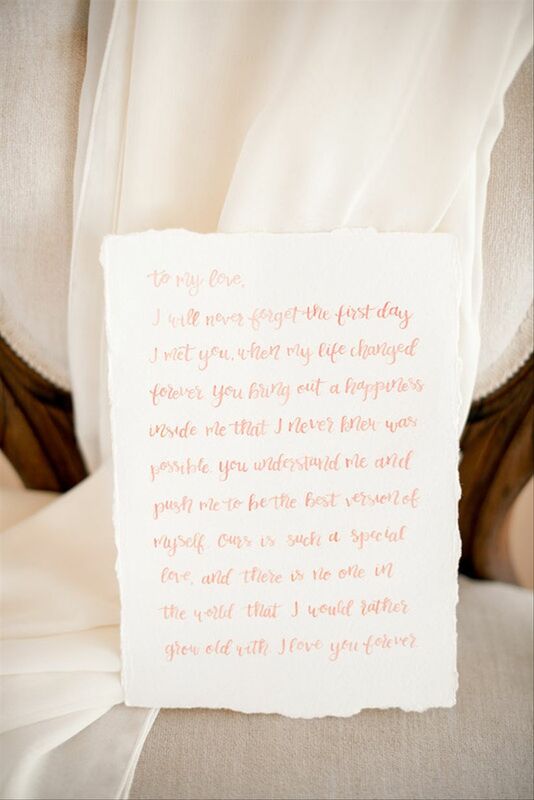 For those who don't mind sharing the sentimental note with a third person, customizing it with hand-lettering or calligraphy is a nice touch. 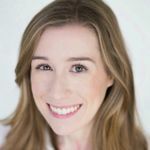 Unless you've practiced this yourself, you'll need to plan ahead and leave enough time (at least a few weeks) for your wedding calligrapher to have the letter ready by the big day. 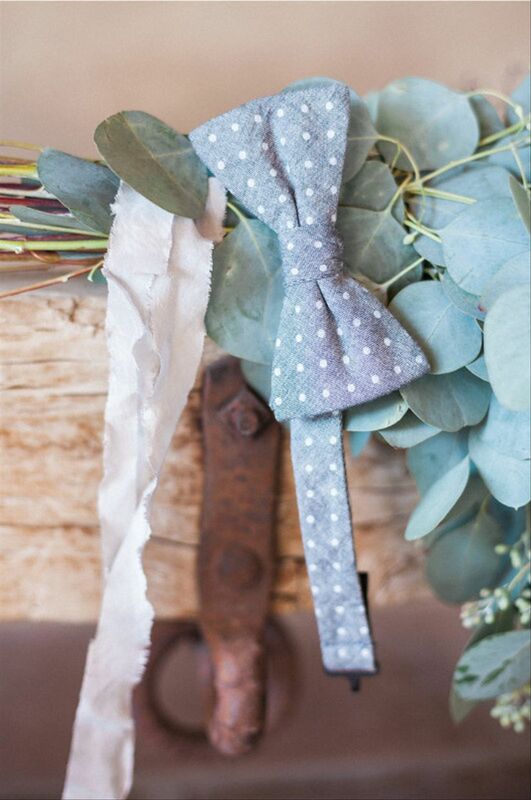 For weddings on the casual side, a chambray polka-dot bow tie is a stylish alternative to silk or polyester options. 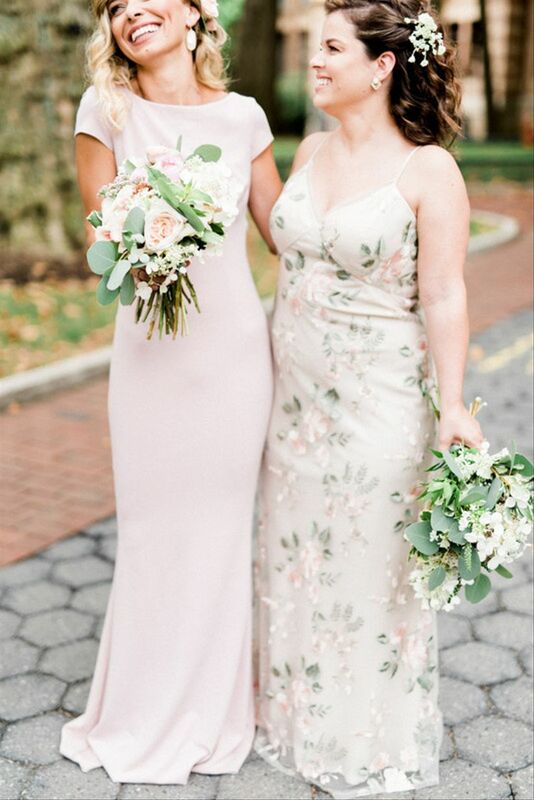 Blush bridesmaid dresses are one of the most popular pastel wedding ideas. If you love this look but also want something slightly different, opt for dresses with a less-common silhouette, like a form-fitting sheath, or look for blush dresses with unique details — we love this floral embroidery. 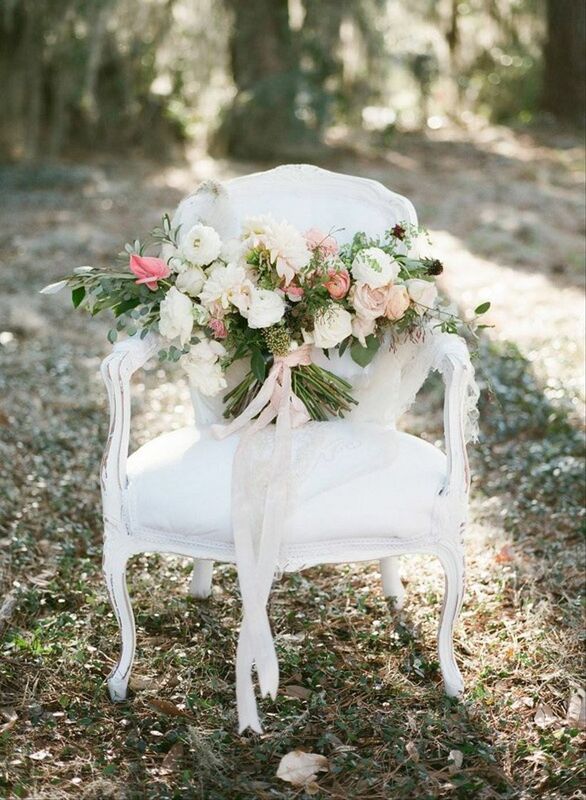 Instead of going full-on pastel, have your wedding florist use primarily white flowers to create your bouquet. 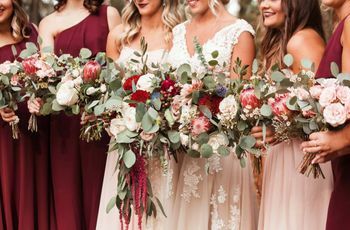 Then, incorporate your pastel colors sparingly with a few well-placed blooms and long ribbons to tie everything together. A loose, oversized bouquet shape is especially modern and up-to-date. Oversized ribbons are another way to add a splash of pastel to your wedding bouquet. Lightweight fabrics, like gauze and raw-edge silk, drape especially beautifully. 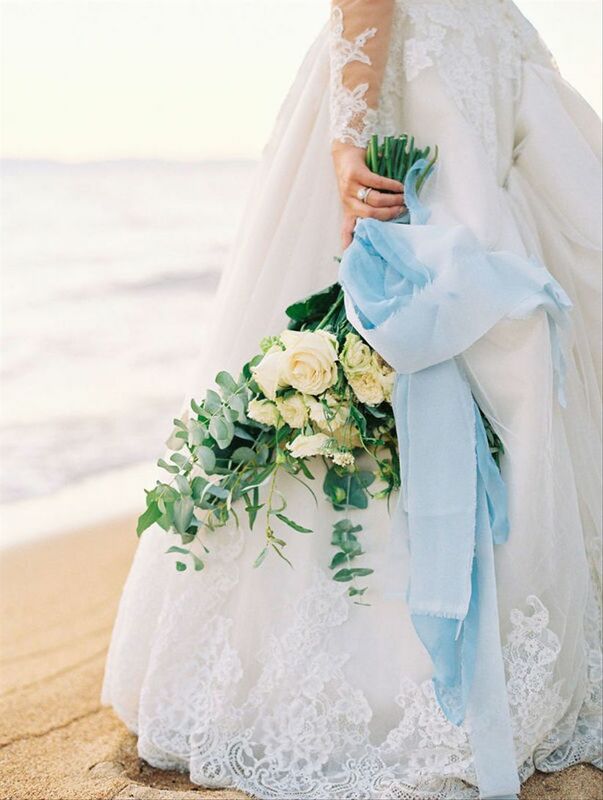 We love this combination of airy blue with white flowers and eucalyptus. 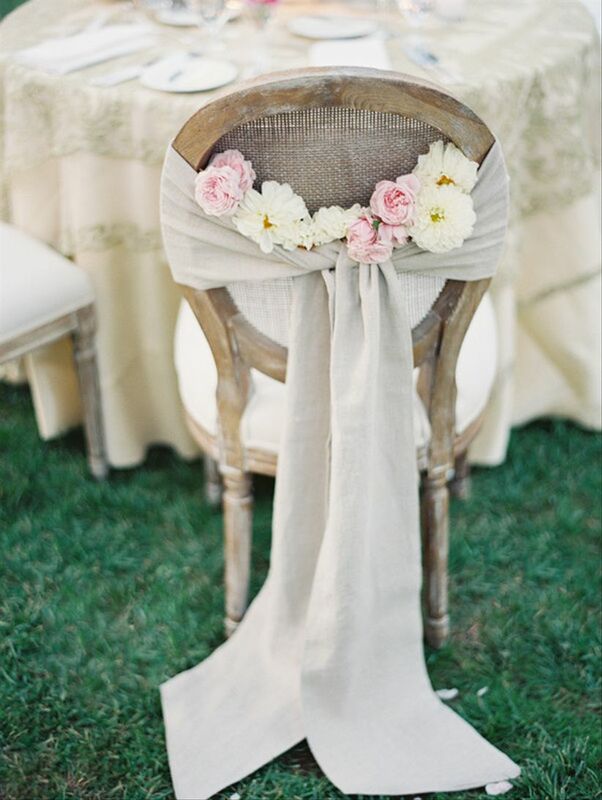 Pastel wedding colors are a perfect match for elegant garden-inspired decor. We're loving the look of oversized arrangements that appear as though they're growing right from your aisle. 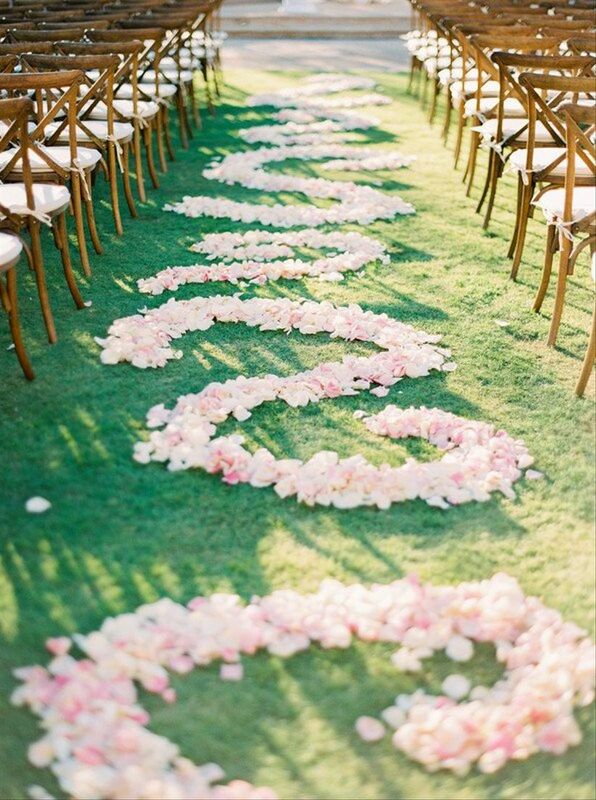 Rose petal aisle runners will never go out of style. Swirls of blush pink petals will transform any ceremony venue into a fairytale setting. 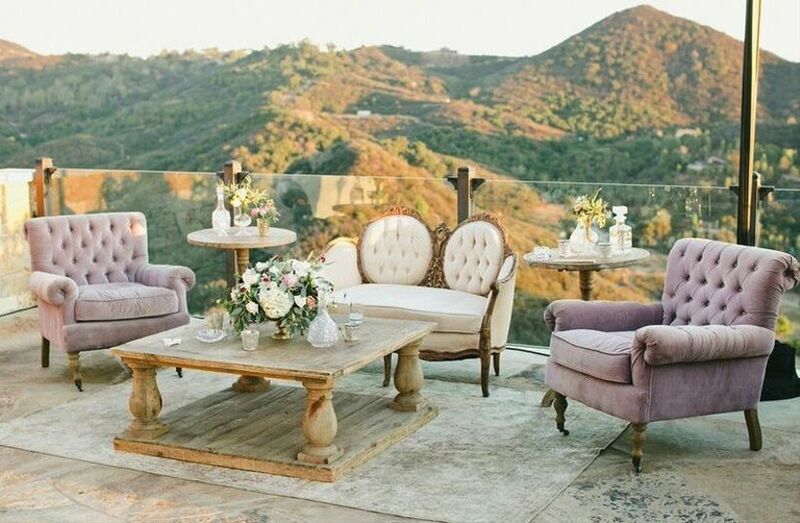 Create a wedding lounge area using vintage velvet chairs in a pastel color. Keep the rest of the furniture neutral to really make the pastels stand out. The end result is luxurious and inviting without being over the top. 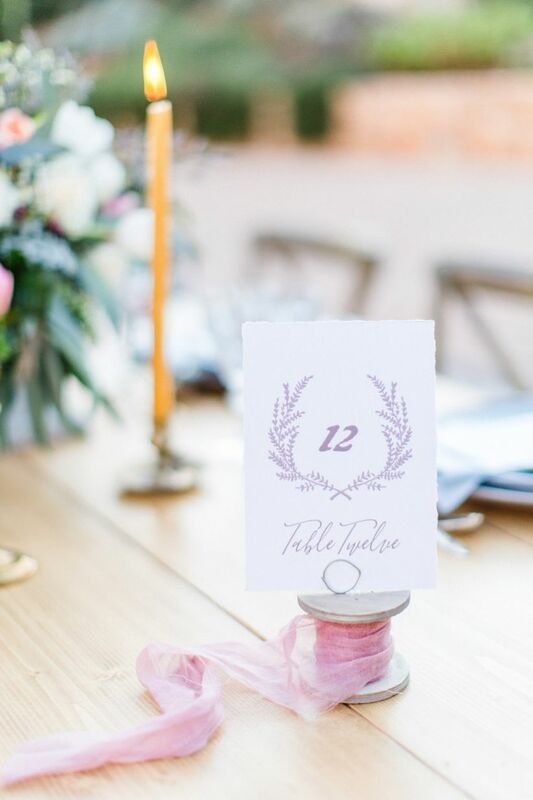 Pale pink and purple are a winning color combo if you're having a whimsical pastel wedding. Emphasize the playful vibes of this palette by incorporating non-traditional accents, like fabric spools as table number holders. Pastel wedding colors can work for minimalist themes, too! 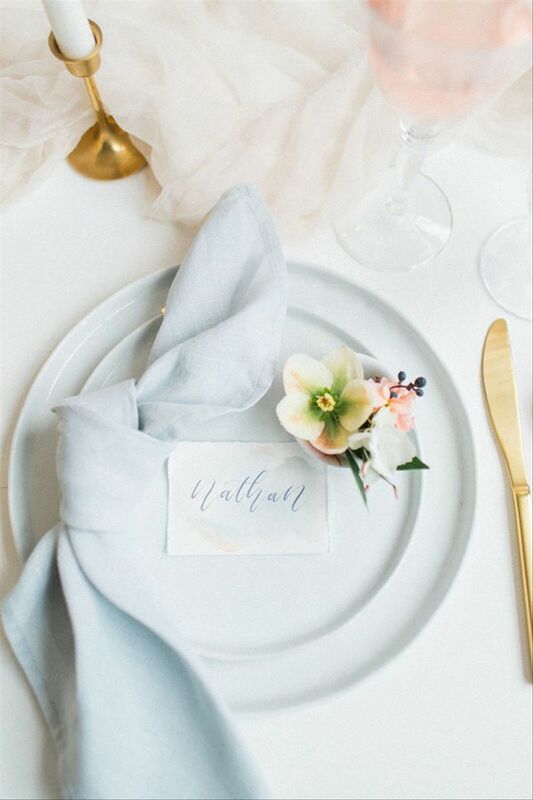 Start with plates and napkins in a barely-there shade of blue, then add gold accents, a watercolor place card, and a pale yellow hellebore. Not into chair signage? 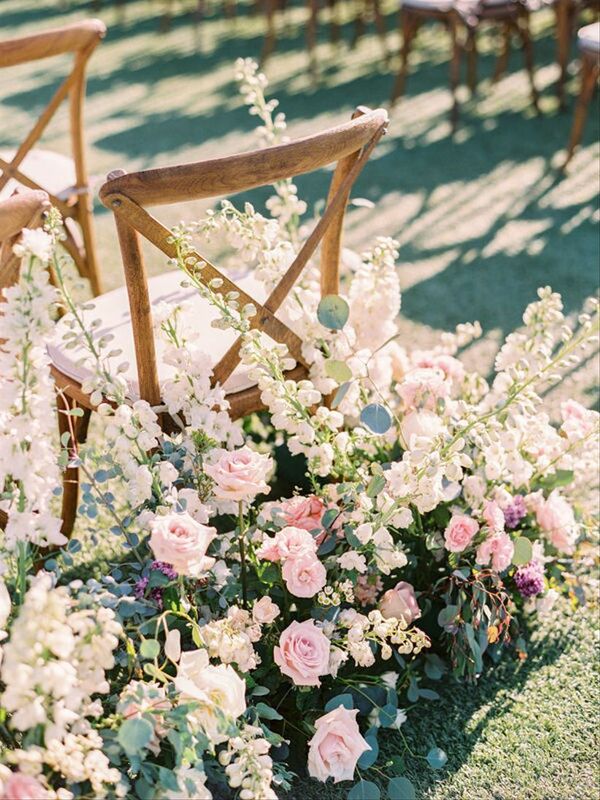 Opt for pretty pastel flowers à la this reception setup instead. 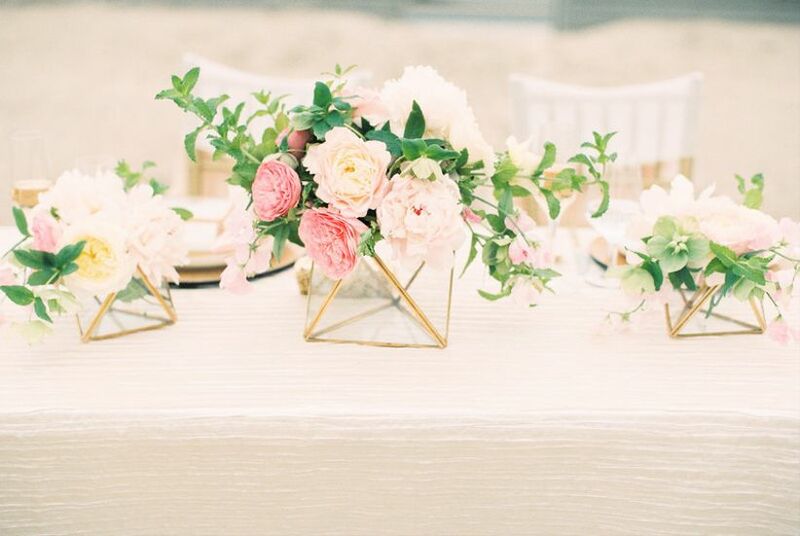 Modernize your pastel wedding centerpieces by using geometric vessels, such as glass terrariums with gold trim. 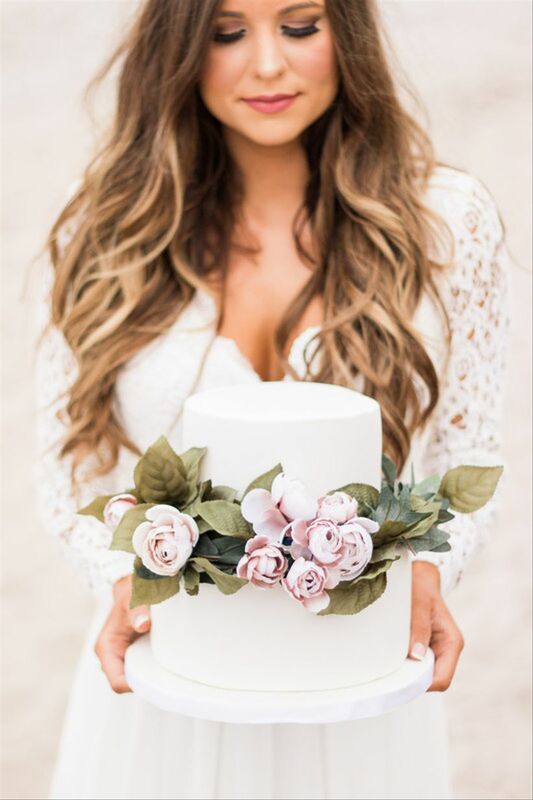 Marbled wedding cakes continue to be a major trend. 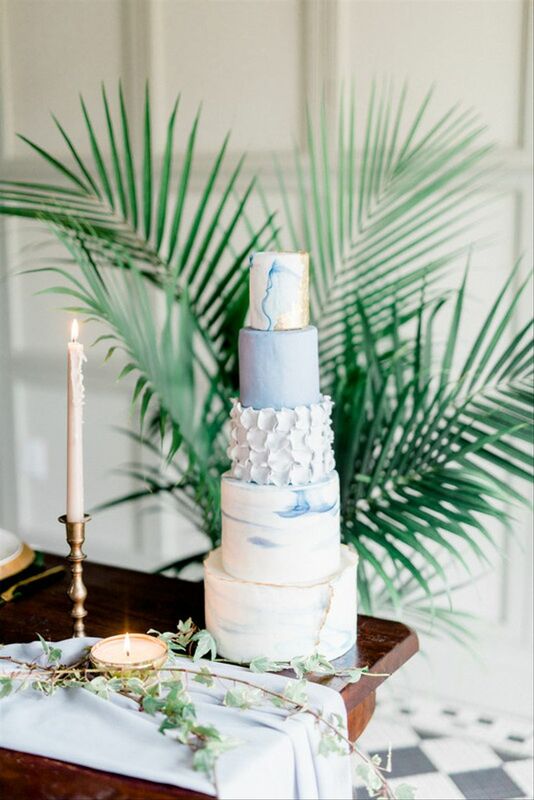 A five-tier masterpiece with pale blue, white and gold details is ethereal and a little bohemian — add a few candles and greenery to complete the look. Transform a classic white wedding cake into an utterly romantic dessert by adding a halo of sugar flowers. These pale pink peonies look so realistic!